This week, Susanne Becker joins us to watch the horror classic Halloween! Jamie Lee Curtis and Donald Pleasence star in a movie that pretty much served as the source for every masked killer horror trope from the 1980’s. Make no mistake, though, this film did them all first and, in many ways, it is still the best. 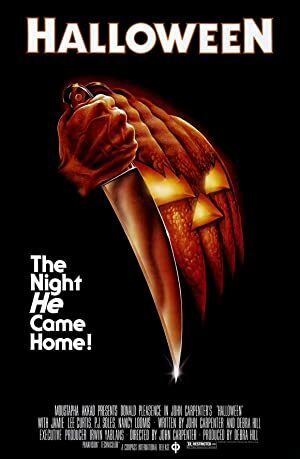 While the film may not have aged as well as some of the other classic titles we’ve watched, it is still some very impressive work by Horror virtuoso John Carpenter. Next up, we will be watching The Shining! Note: You may be wondering where our episode of Bringing up Baby has gone. Sadly, we had severe technical difficulties with the recording and we were unable to salvage anything. Sorry. 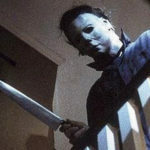 Plot: Fifteen years after murdering his sister on Halloween night 1963, Michael Myers escapes from a mental hospital and returns to the small town of Haddonfield, Illinois to kill again.